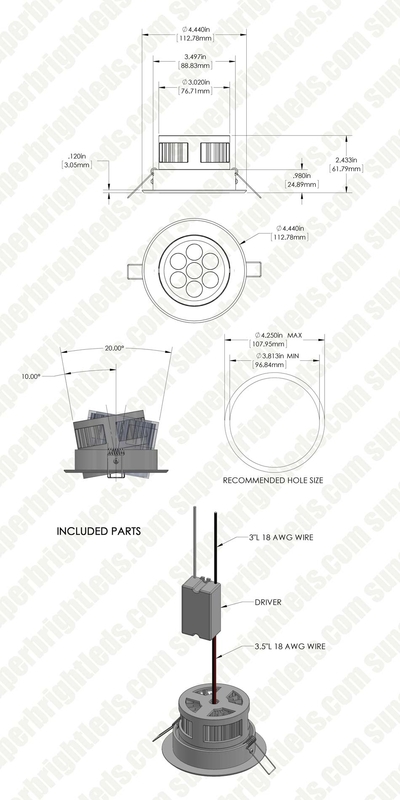 LED Recessed Light Fixture - Aimable - 16 Watt Equivalent - 680 Lumens: Profile View. 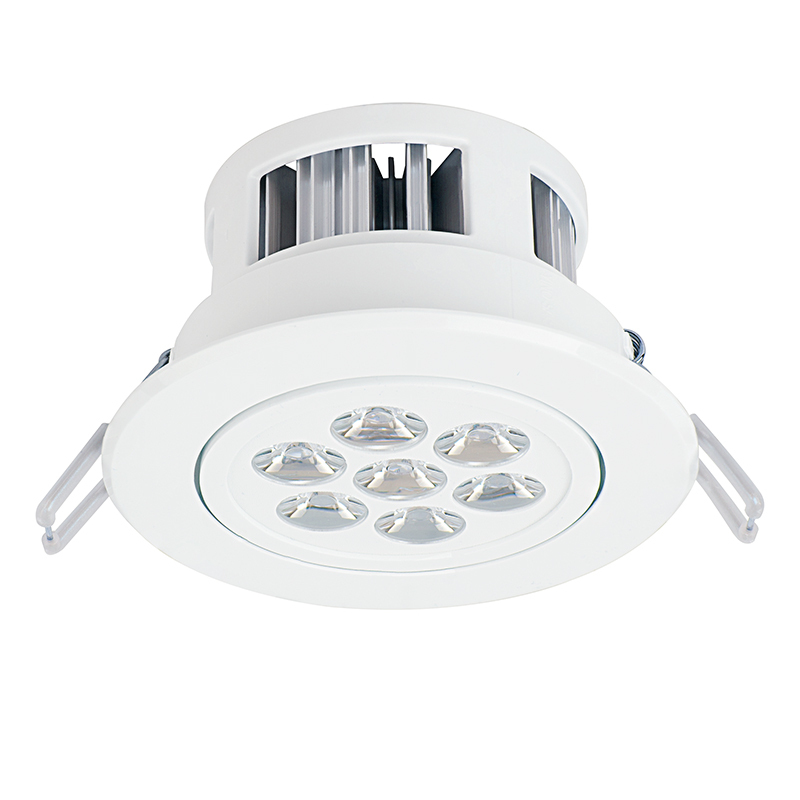 LED recessed lights are designed for residential and commercial ceiling down lighting. 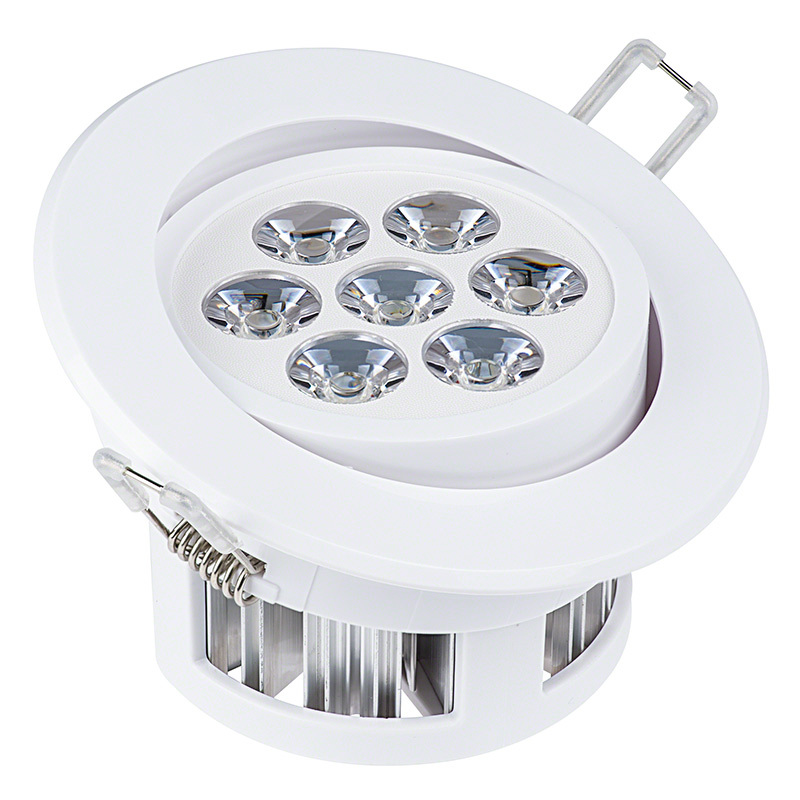 Use this LED light for living room lighting, basement lighting, office lighting, kitchen lighting, bathroom lighting, and more. 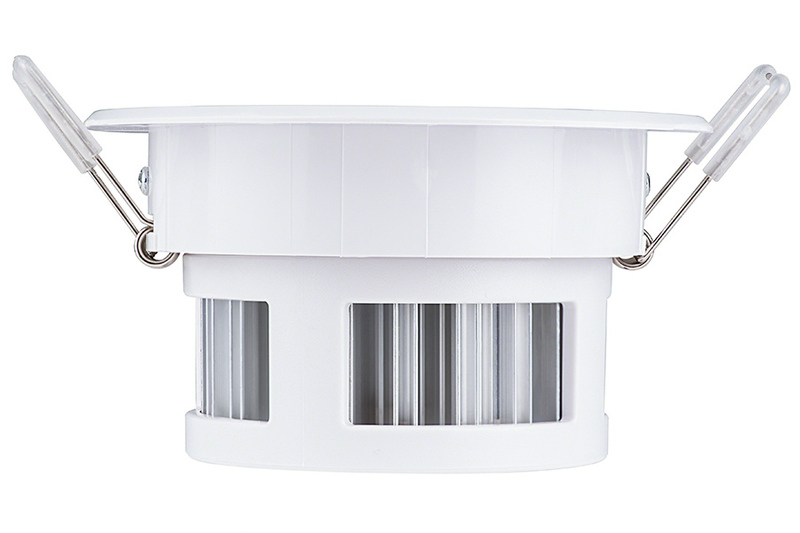 Pivot the aimable light head 10° for illumination where you want it most. 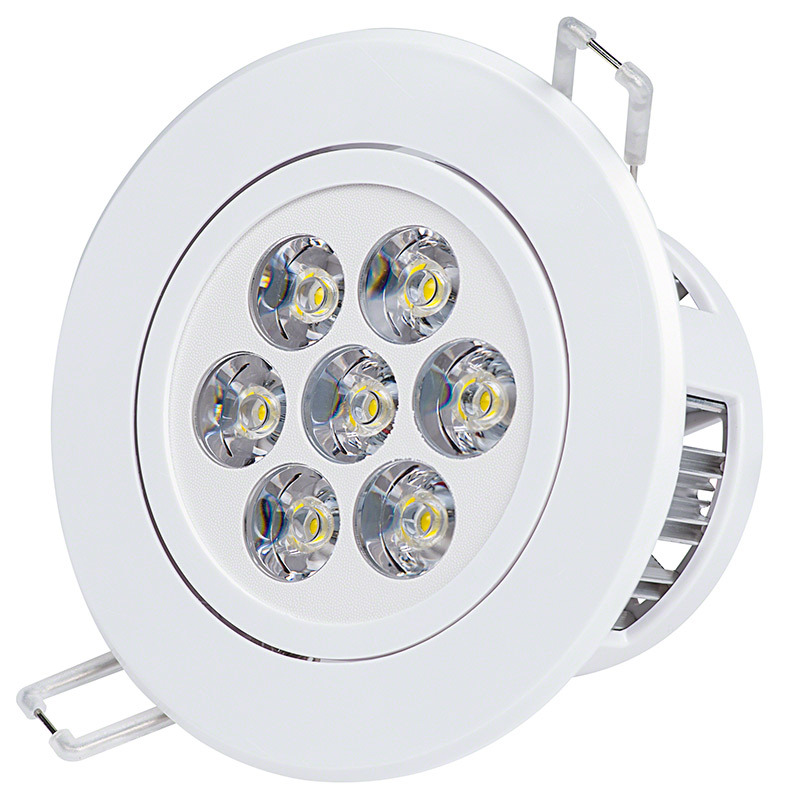 This LED recessed light emits 680 lumens of natural white illumination while consuming just 16 watts of power. 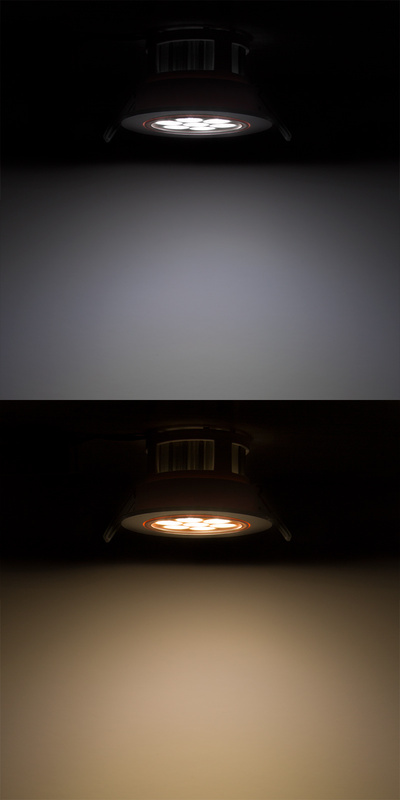 A comparable incandescent bulb would consume 60 watts. 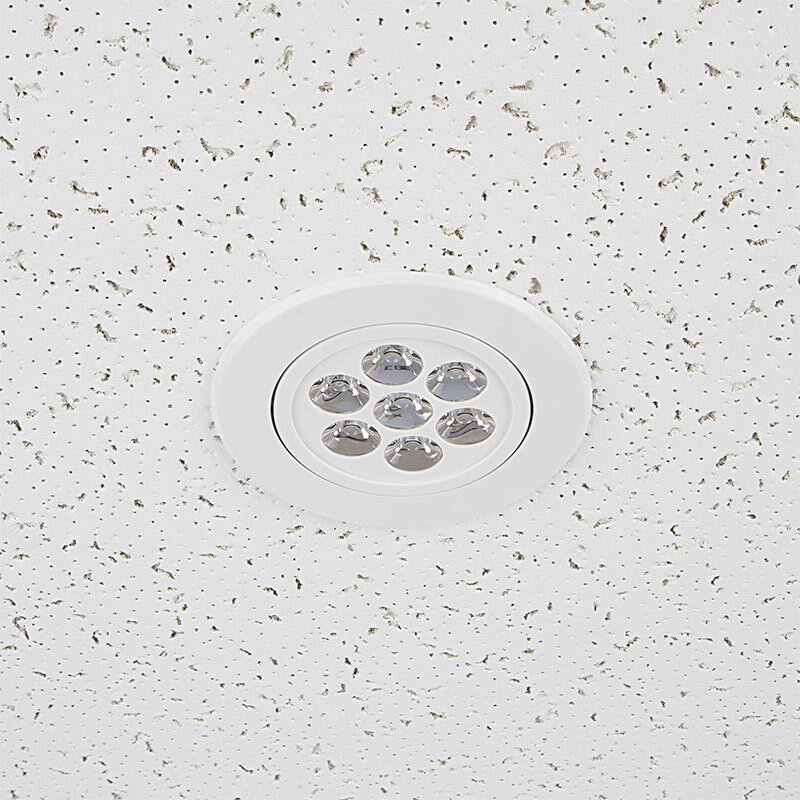 Easily install the LED fixture in a 3.81" to 4.25" hole with attached spring retaining clips. 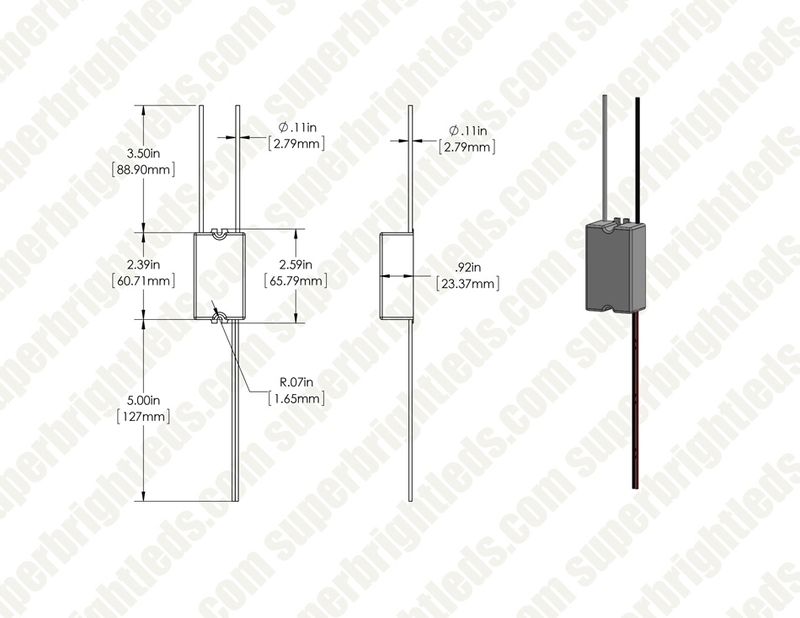 Operates within a 100-240 VAC range.